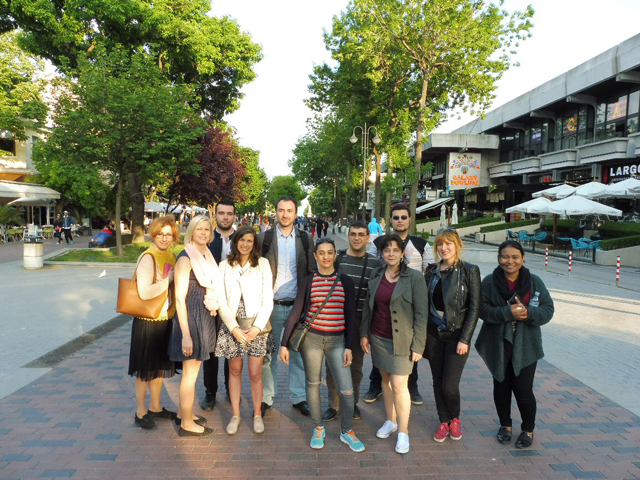 From 22 to 26 May 2017, the 2nd edition of EUTEMPE-NET Module 5 “Physical and virtual anthropomorphic phantoms for image quality and patient dose optimization” was successfully accomplished. 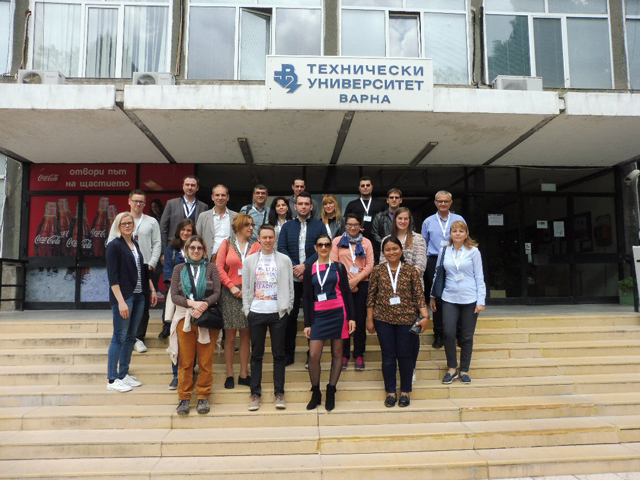 The course was organized and delivered by EUTEMPE-NET consortium partner Technical University of Varna, Bulgaria with the support of MaXIMA action, funded by EU programme HORIZON2020. 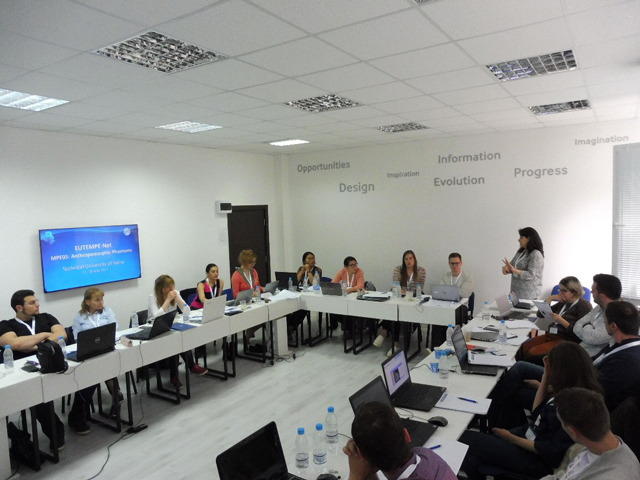 The module led by Prof. Kristina Bliznakova is accredited by EBAMP (European Board for Accreditation in Medical Physics), and is considered extremely useful for EQF level 8 Medical Physicists. 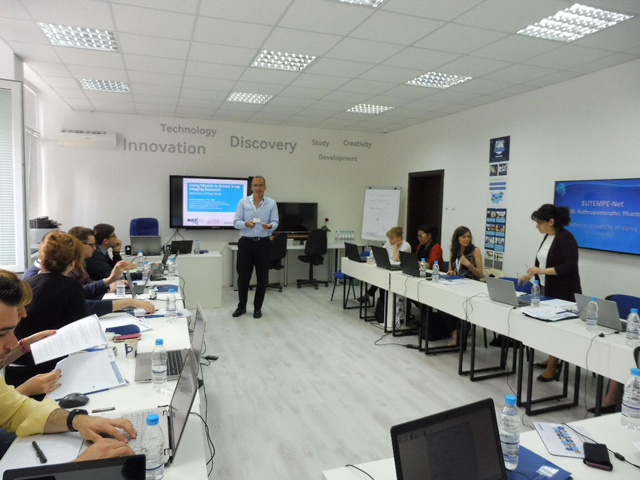 It has been attended by 17 participants from 8 European countries. 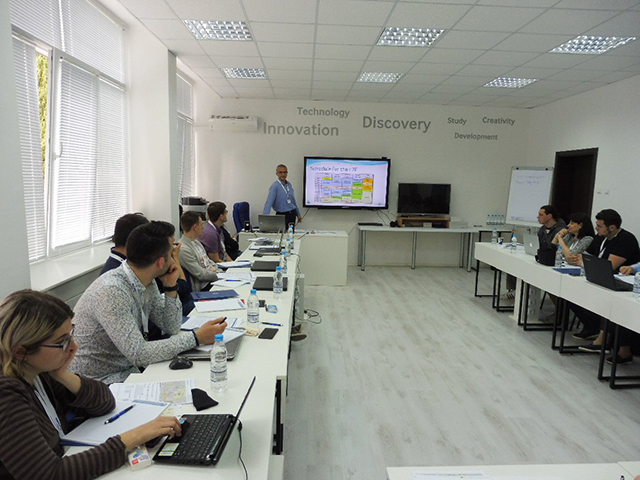 The program was organized in a blended format: lectures, followed by discussion sessions and practical works. 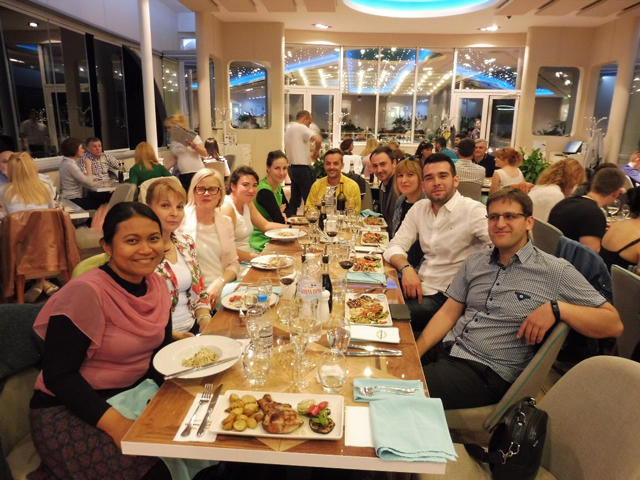 The lectures were given by experts in the specific field from the Host University (Prof. Kristina Bliznakova, Prof. Ivan Buliev, Dr. Zhivko Bliznakov) as well as invited speakers from other European institutions (Prof. Angelo Taibi, University of Ferrara – Italy; Dr. Lesley Cockmartin, University Hospital of Leuven – Belgium; Dr. Ioannis Sechopoulos, Radboud University Medical Centre – the Netherlands). Design and composition of anthropomorphic phantoms. Software tools used in x-ray imaging research. Creation of computer-based anthropomorphic phantoms. Computational anthropomorphic phantoms as prototypes of physical objects. to design, carry out and evaluate virtual clinical studies with anthropomorphic phantoms. 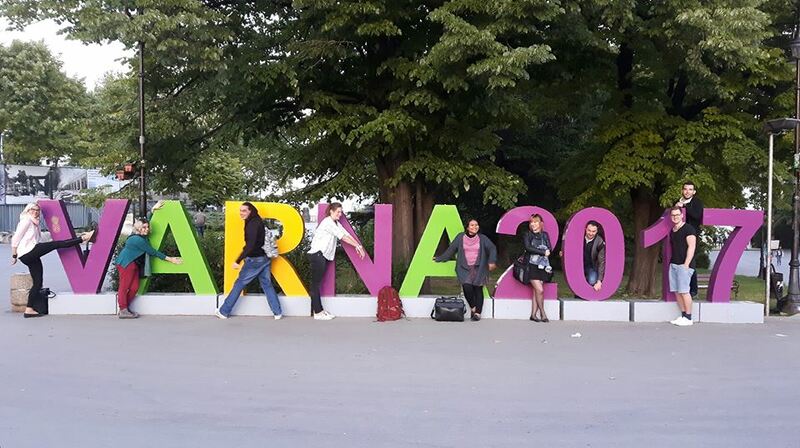 Following the successful completion of the module, the participants enjoyed leisure in the beautiful city of sunny Varna. design, carry out and evaluate virtual clinical studies with anthropomorphic phantoms. Introduction to anthropomorphic phantoms – review of software and physical anthropomorphic phantoms; classification and applications. Design and composition of anthropomorphic phantoms – basic components of computational and physical anthropomorphic phantoms. Software tools used in x-ray imaging research – software tools with appropriate functions for image processing and evaluation; in-house developed applications dedicated to design and visualization of anthropomorphic phantoms and their use in virtual x-ray imaging studies. Hands on implementation of computational anthropomorphic phantoms – creation of computer-based anthropomorphic phantoms. – Optimising and development of a clinical protocol. – Assessing the limitations of an imaging modality. – Optimising the parameters of an existing imaging modality. – Other advanced scientific research. Three-dimensional printing – review of basic 3D printing technologies. Computational anthropomorphic phantoms as prototypes of physical objects – use of software anthropomorphic phantoms for design and production of physical phantoms for testing x-ray imaging modality. Demonstrate knowledge on computational/physical anthropomorphic phantoms and their application in Diagnostic and Interventional Radiology (D&IR). Design and implement new physical and virtual anthropomorphic phantoms. Use of software tools to design anthropomorphic phantoms. – Optimise and develop a clinical protocol. – Assess the capabilities and limitations of an imaging modality. – Optimise the parameters of an existing imaging device. – Develop and evaluate image enhancement techniques. – Develop and evaluate image reconstruction algorithms. – Perform advanced scientific research related to emerging x-ray imaging techniques. Simulate an imaging experiment prior to its real setup. Supervise image reconstruction and image handling procedures. Run virtual research studies with anthropomorphic phantoms to perform advanced scientific research related to emerging x-ray imaging techniques. Understand when, why, and how to use anthropomorphic phantoms in daily clinical practical and research D&IR work.